Will AB-1066 End Sunup to Sundown Farming? Will Overtime Bill Kill Sunup to Sundown Way of Farming? Newly approved by the California Assembly, AB-1066, which would effectively extend the payment of overtime compensation to agricultural employees after 8 hours of work in a day or 40 hours per week, instead of 10 hours per day or 50 to 60 hours per week, awaits Governor Jerry Brown‘s final decision this month. 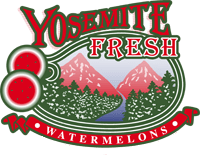 The theory behind the bill is understandable, but according to Bryan Van Groningen, field manager for Van Groningen & Sons, Inc., a California family farming business begun in 1922, agriculture works within a different timetable than other industries. Van Groningen & Sons employs different types of laborers, some who already work 8-hour days and others who work on a schedule that AB-1066 would eliminate. “Our field workers—everybody is accustomed to a 10-hour per day and 50-hour per week system,” explained Van Groningen. Author webmasterPosted on September 6, 2016 September 5, 2016 Categories All About Crops, Get Educated, Know the issues, Meet the People, Law/Politics, Trends, Small farms, Agriculture Jobs, Economics, Regulations, Price, California State Assembly, Labor, Politics and Law, Specialty Crops, Western Growers Association (WGA), Pumpkins, California Agriculture News, newsTags: Governor Jerry Brown Harvest Van Groningen & Sons AB 1066 overtime compensation agricultural employee field manager non-traditional workday sunup to sundown West CoastLeave a comment on Will AB-1066 End Sunup to Sundown Farming? Family owned and operated since 1922, Van Groningen & Sons, Inc. has just completed construction of a 1 Megawatt PV Solar Energy System at their packing, cooling and processing facility located at their company headquarters in Manteca. Designed and installed by Renewable Technologies, Inc. (RTI) of Stockton, CA., the solar system is one of the first to take advantage of the Net Meter Aggregation Policy recently approved by the California Public Utility Commission, allowing for multiple meters to be offset by the production of a single PV solar production system. RTI worked closely with Paul Hiemstra, warehouse manager at the facility to aggregate 26 electric meters, satisfying the electrical demand of the facility and numerous irrigation pumps across several hundreds of acres of farmland. The system will generate over 1.4 million kilowatt hours of clean, reliable energy annually and sits atop two large processing buildings. The solar kilowatt hour production will offset approximately 1,034 metric tons of carbon dioxide, the equivalent greenhouse gas emissions produced by 218 passenger cars, the electricity usage of 142 homes or the carbon sequestered by 848 acres of U.S. forest in one year. This project marks yet another step forward in Van Groningen’s efforts toward sustainability, helping to ensure the continuance of the family farming tradition for many years to come. Van Groningen & Sons, Inc. is closely linked to the growing, shipping and distribution of melons, sweet corn, nuts, pumpkins and fall décor. Their formula is to offer the highest quality products while conducting business with honesty, integrity and responsibility, a recipe that’s certain to last long into the future.